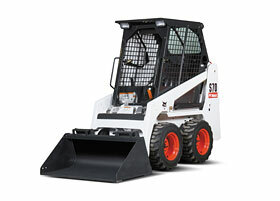 The Bobcat S70 Skid Steer Loader is the most compact and versatile of our Bobcat Skid Steer hire range. Many of of customers choose the Bobcat S70 because it is a highly versatile little workhorse that can easily be utilised as multi-site vehicle. As it is so compact, it is easy to load onto a trailer or flatbed truck to transfer between sites. As the Bobcat S70 is very compact, it means it can go where others can’t – so being so small does have it’s advantages. The S70 has a very short wheel base, so it is compact and can fit through access points less than 92 cm wide by 182cm high and can get into confined site areas with relative ease. It is an ideal vehicle for sites with restricted access points as it can frequently fit through doorways, gates, corridors, aisles and passageways.It is also great for working under low ceilings as it is only 6 ft. tall and 3 ft. wide. The Bobcat S70 Skid Steer has reinforced arms with the ability to utilise over 20 attachments, making this mini loader an invaluable site truck or loader for a multitude of loading, construction and demolition tasks. The Bobcat S70 Skid Steer Loader is very agile and the cab is operator-friendly with easy access, excellent visibility, low noise and vibrations. There is an instrument panel with additional functionalities and diagnostic capabilities. We have a fleet of Bobcat S70 Skid Steers available for long and short term contract hire. Our Hire Desk team will be able to give you more information on the Bobcat S70 and the choice of attachments available with your skid steer hire. As always we keep our plant hire fleet in excellent condition with regular servicing and thorough checks before they go out on hire. From our depot close to the M25 in North London we can easily deliver your skid steer to site in London, Hertfordshire, Essex, Kent and surrounding areas. Alternatively we can provide a trailer so you can collect it yourself, if you prefer. Please call our Hire Desk team to arrange the hire of your Bobcat Skid-Steer Loader. 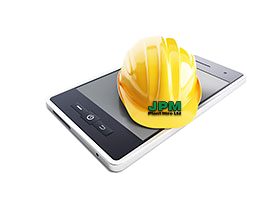 They will be more than happy to answer any questions and arrange for your skid steer to be delivered to site.